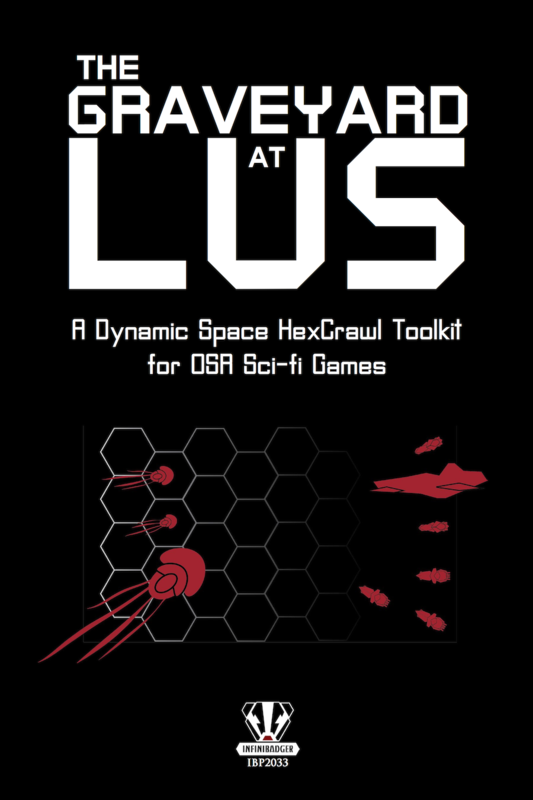 Discount codes for print versions of The Graveyard At Lus have been sent out through DriveThruRPG/RPGNow’s internal system to those who have bought the product already. There are five codes included, one for each of the available print versions. If you have purchased The Graveyard At Lus and don’t receive this email (either because you have elected not to receive emails or something goes wrong), please contact sales@infinibadger.com with your order date and order number and we’ll get you taken care of with the discount codes. If you purchase the PDF version of the product in the future, also contact us by email to receive the discount codes for print versions if and when you want to buy a print version of the product.